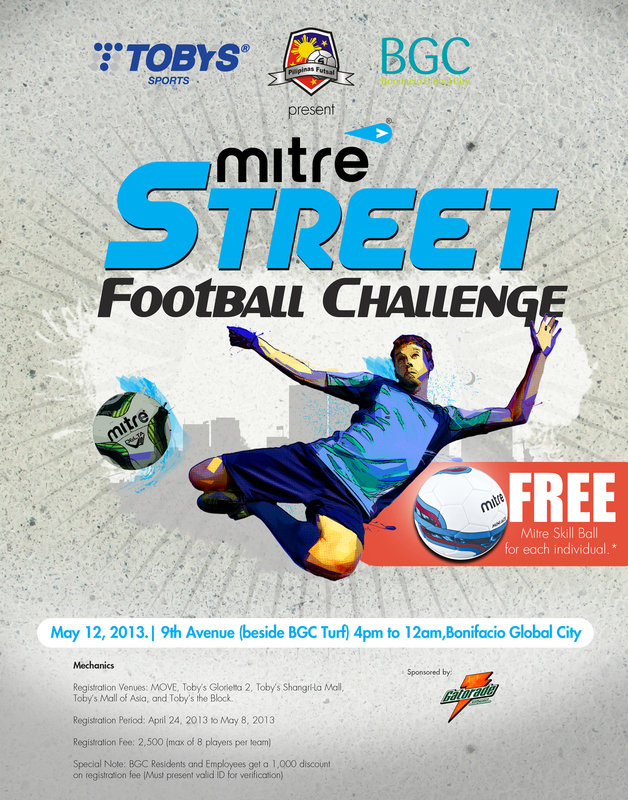 Registration Fee is only P2,500 if you register before May 6.
each REGISTERED player will get a special MITRE SKILLS BALL. *Maximum of 8 players per team. 1-A GK’s throw must hit the ground before the half line mark first. 2-A GK can receive unlimited back pass from his/her teamates, but must only use his feet to control the ball. *Teams must wear same colors of jersey, shorts, socks. -Top 2 teams on each group advances to the Knockout Stages, Quarterfinals then Semi-Finals, then Finals. Each Player gets a pair of MITRE FUTSAL SHOES & freebies. The team gets 3 MITRE FUTSAL BALLS & Freebies. The team wins 1 MITRE FUTSAL BALL & Freebies. Teams who does not advance to the Cup Knockout Stage will play in the Plate Competition. So expect to have many games and stay until MIDNIGHT.